Cinco Bright Series LED Strip is the super bright led strip featuring 900 lm/ft brightness. 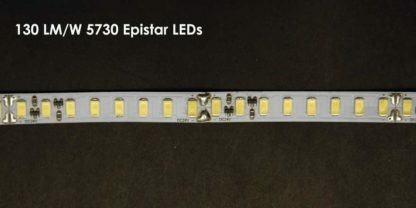 New EvenBright Cinco series LED Flex Strip that packs 128 super bright Epistar 5730 SMD LEDs per meter. 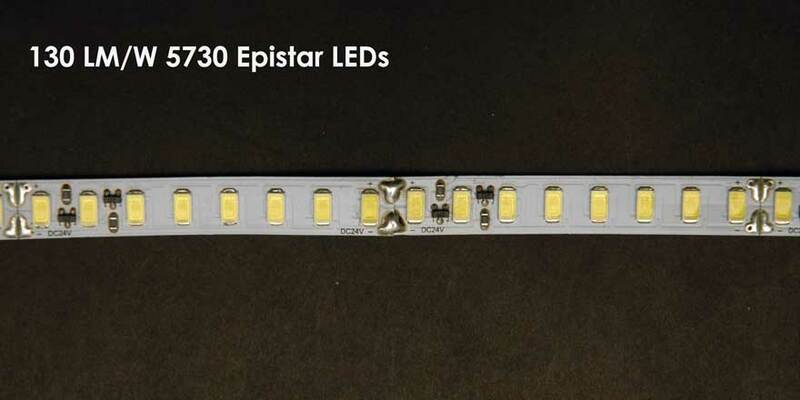 It allows a very even and bright light (unlike the older 5050 SMD LEDs caused spotting). 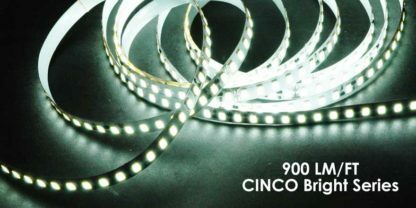 In addition, The Cinco Bright series 24VDC LED strip features a high powered LEDs featuring a high lumen output of up to 130 lumens per watt. The dimmable LED Strip is available in Deep Warm White (2700K), Warm White (3000K), Neutral white (4000K) and Pure white (5000K) with a colouring rendering index (CRI) of 90 or better! High CRI means better colour definition in Jewellery display cases, food display cabinets and under cabinet lighting. 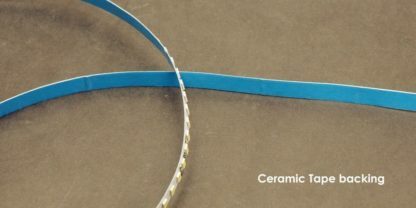 Flex Strips come with lead wires to enable easy connection to the Class 2 LED Power supply. 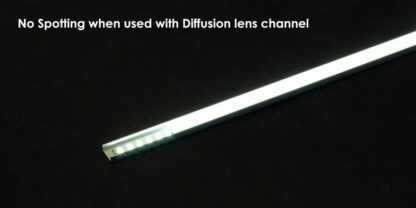 Must be mounted into LED World’s optional Aluminium Channel profiles for better heat dissipation. 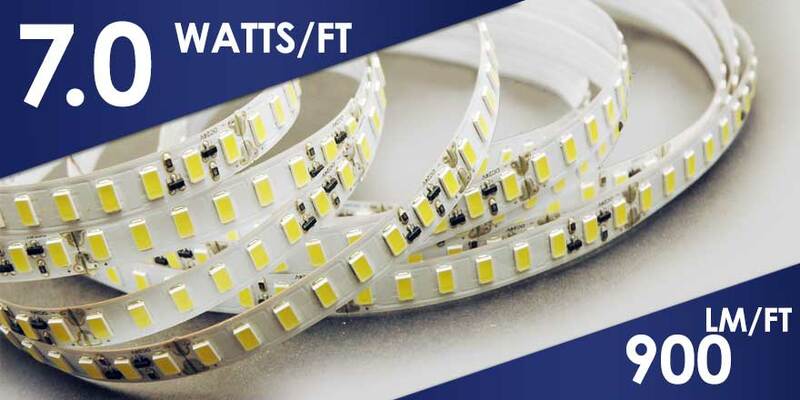 Moreover, Its small size and low voltage makes this lighting ideal for a wide range of applications. 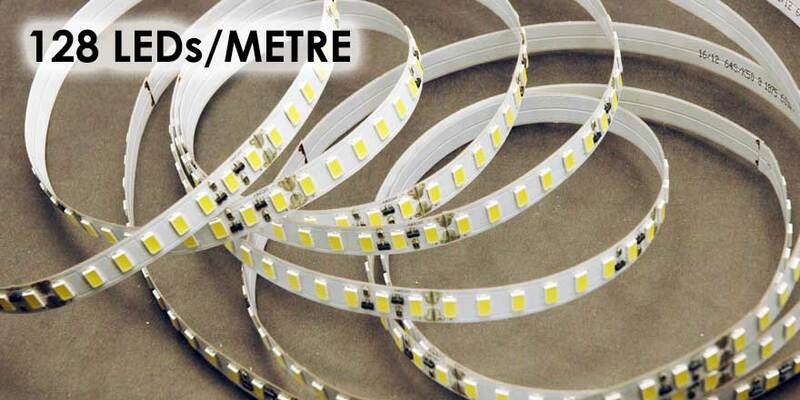 Further more it is cut-able to size at each 8 LED intervals at marking points.